The NFL has rocketed in popularity in this part of the world in recent years. It is difficult to walk down the street in any town or city in Ireland without seeing someone sporting an NFL beanie hat, and the ratings for the games on Sky Sports have reached new levels year-on-year. While it still has some way to go in matching the more familiar style of football, the two sports now share many of the same fans. 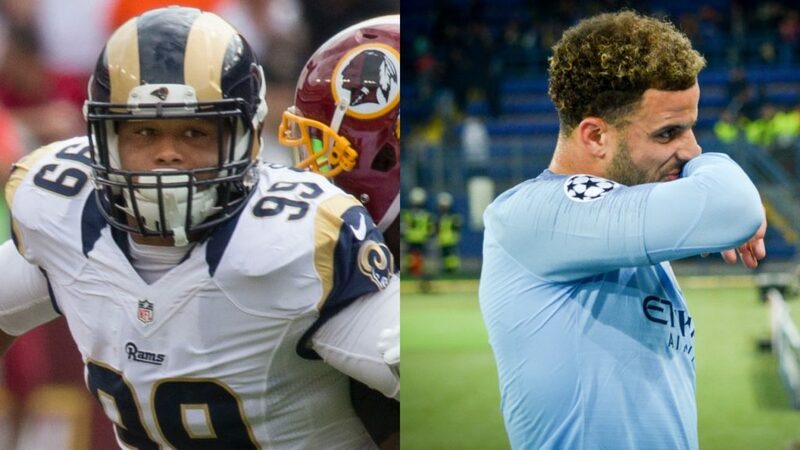 With the NFL Conference Championship games taking place this weekend, it got us to wondering: who do the four remaining NFL teams most closely resemble in the world of 'soccer'? The pillars of sustained success. Just like Real Madrid, the New England Patriots are always in the conversation come the business end of the season. While they may play well within themselves, and look largely disinterested, early in the campaign, they always seem to turn it on when it matters. The Patriots have reached eight consecutive conference championships, while Madrid have reached eight Champions League semi-finals on the trot. 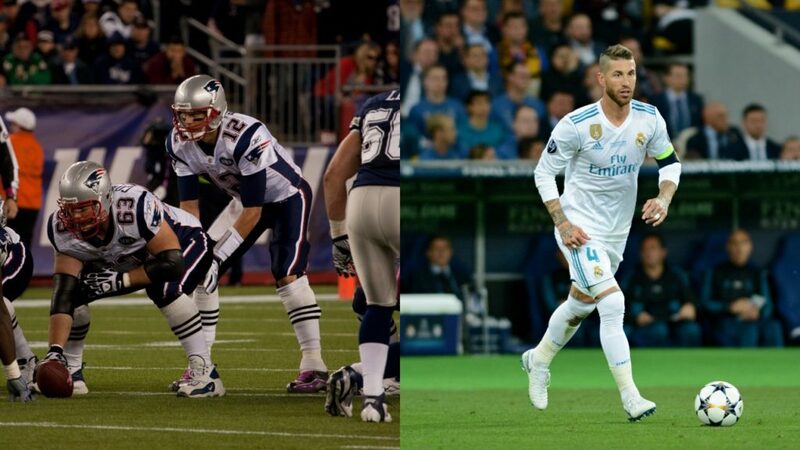 Both teams are fiercely disliked by their rivals, led by players who tend to rub people up the wrong way despite their brilliance: Tom Brady and Sergio Ramos. One area where this comparison does fall down is comparing the management of the two sides. Whereas Bill Belichick has been at the helm in Foxborough since 2000, Los Blacnos go through managers at an unprecedented rate. Both of these teams are the stories of the season so far. Led by hugely exciting attacking play, they have found themselves at the pinnacle of their respective leagues thus far. While their offence has been spectacular, The Chiefs' defence has been suspect throughout the regular season. This was a problem that has long plagued Jurgen Klopp's Liverpool, although it does seem to have been remedied with the additions of Virgil van Dijk and Alisson. In terms of the coaches, the two hold similar reputations. Both are massively respected, but often seem to falter on the biggest stage. 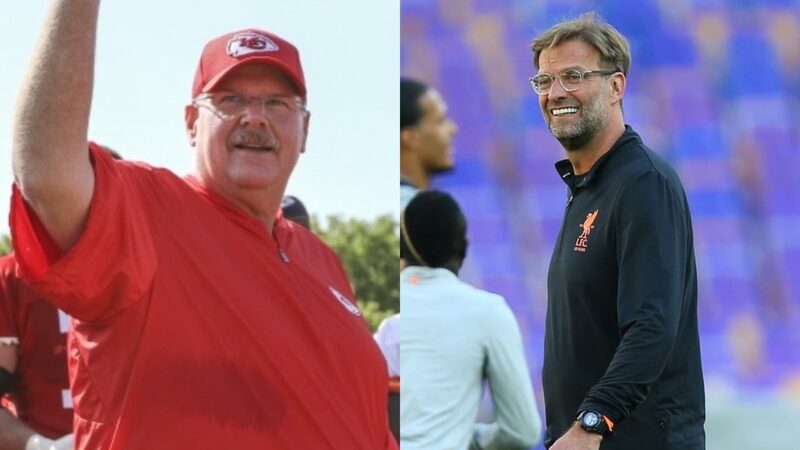 Andy Reid has repeatedly fallen short in the play-offs despite having incredible regular season teams, while Jurgen Klopp has a poor record in the finals of cup competitions. Their star players also can be compared. Both have burst onto the scene unexpectedly, and look to be quickly becoming amongst the best in their respective positions. Just like Mo Salah's tag as a 'one season wonder', many have questioned Patrick Mahomes' ability to maintain his current pace. Two financial juggernauts. Both of these are recently glamourised franchises: The Rams after their move from St Louis, Manchester City after the injection of vast Arab investment. The two also share their home cities with rival teams, but are winning the battle for supremacy at the moment. While many sides focus most of their resources on the offensive side of the game, The Rams and City have not been afraid to pump money into their defence. LA have the one of the most expensive defensive units in the NFL, featuring the second highest paid defensive player in the sport in Aaron Donald. City boast some pricey stoppers of their own, with the likes of Kyle Walker, John Stones and Benjamin Mendy some of the most expensive defenders in football. It is hard not to draw comparisons between Sean McVay and Pep Guardiola. Both are young, exciting coaches, and have been declared as the leaders of the next generations of managers in their sports. Their style of play is attractive and innovative, but neither is immune to having their sides do the dirty work at times. The Rams can rely heavily on the ground and pound, whereas City's go to move is a cynical foul to stop counterattacks. Just like Borussia Dortmund, the neutrals tend to have a fondness for the New Orleans Saints. They are both likeable teams, something that is helped by their eye-catching kits. 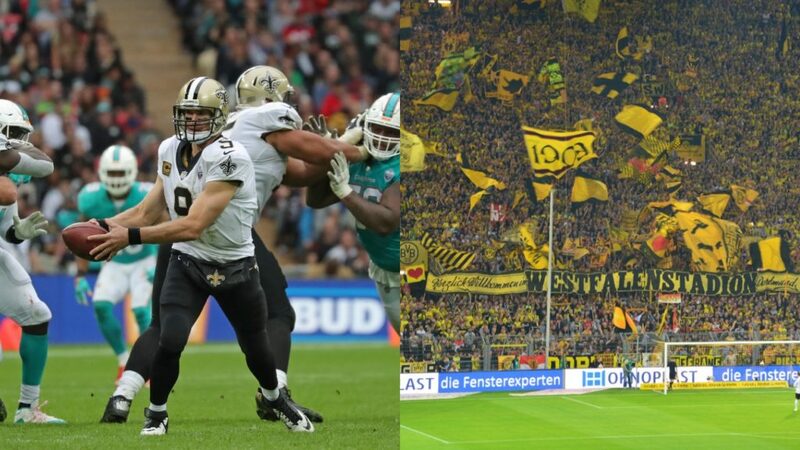 The Saints' Mercedes-Benz Superdome is probably the most intimidating atmosphere for visiting teams in the NFL, with Dortmund's Westfalenstadion and its legendary 'yellow wall' equally striking. While both are continually one of the best teams around, they have struggled to lift the major honours come the end of the season. New Orleans last won a Super Bowl in 2009, but have won 11 games or more five times in the intervening years. Dortmund's lone Champions League victory came in 1997, and their last league title came in 2012, despite being amongst the best sides in both competitions at various stages since. Both also look well-placed to end their barren runs this season, being favourites for the Super Bowl and Bundesliga respectively at the moment.